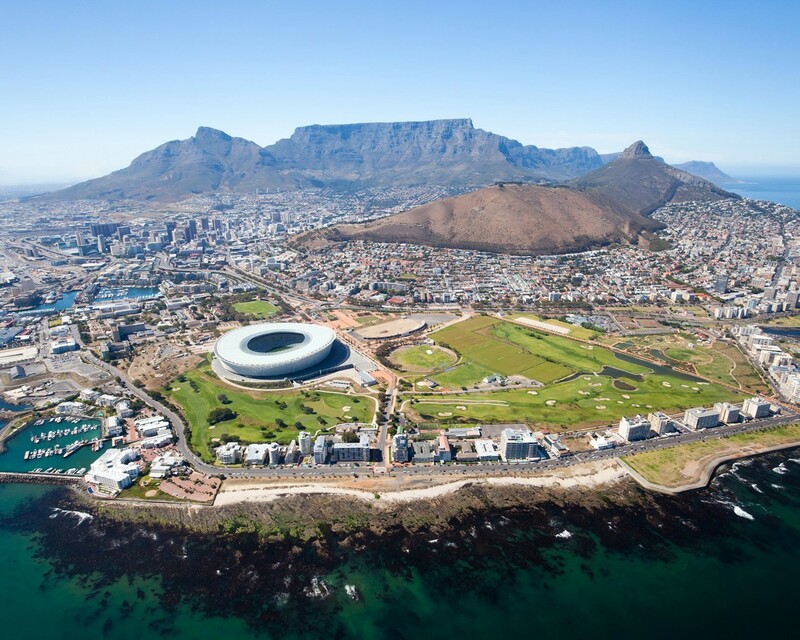 Cape Town is located at Table Mountain, with its near vertical cliffs and flat-topped summit over 1,000 m (3,300 ft) high, and with Devil's Peak and Lion's Head on either side, together form a dramatic mountainous backdrop enclosing the central area of Cape Town, the so-called City Bowl. A thin strip of cloud, known colloquially as the "tablecloth", sometimes forms on top of the mountain. To the immediate south, the Cape Peninsula is a scenic mountainous spine jutting 40 kilometres (25 mi) southwards into the Atlantic Ocean and terminating at Cape Point. There are over 70 peaks above 300 m (980 ft) within Cape Town's official city limits. Many of the city's suburbs lie on the large plain called the Cape Flats, which extends over 50 kilometres (30 mi) to the east and joins the peninsula to the mainland. 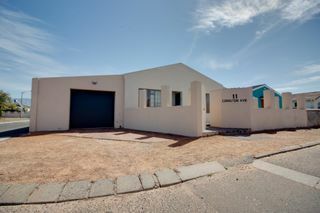 The Cape Flats is situated on what is known as a rising marine plain, consisting mostly of sandy geology and confirming that at one point Table Mountain was itself an island. 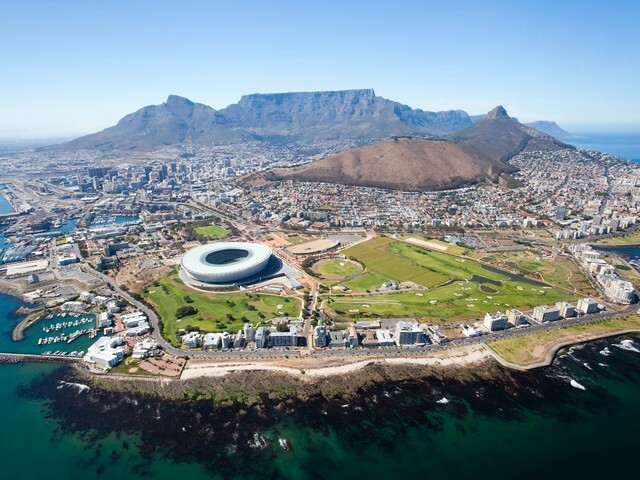 The Cape Town region generally, with its Mediterranean climate, extensive coastline, rugged mountain ranges, coastal plains, inland valleys and semi-desert fringes, has much in common with Southern California.